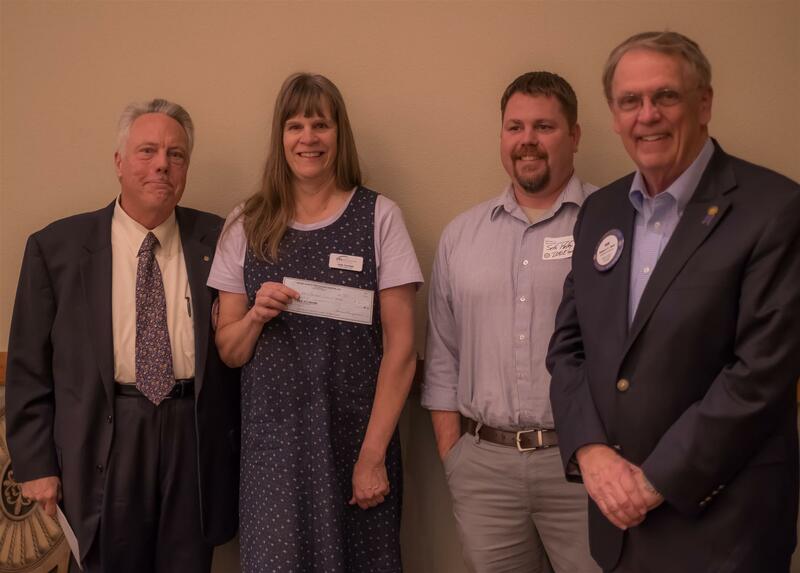 Committee Chair Rob Marschke and Committee Member Bob Hoel presented a check for $500 to the Larimer County Early Childhood Council. Accepting the check was Judy Seybold, Quality Support Coach, and Seth Kelley, Executive Director of BASE Camp. Our grant supported 12 before- and after-school child care providers at an After School Zone Conference, a project to educate child care providers to reduce juvenile crimes, smoking, drinking ethanol, drug abuse, and other risky behaviors.